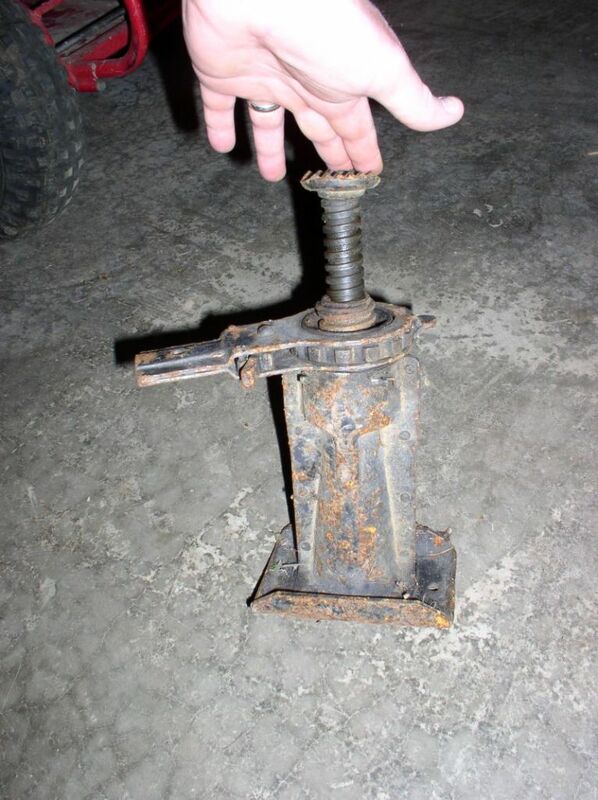 according TM 9-2320-244-10 as of August 1968 the jack is a jack, hydraulic, self contd., 3 ton cap etc. supply no 65909-948251, replaces 932115; with handele , jack, tubular 65909-948252 (replaces 932124). Thats the info I have according to my complete set of manuales. So who is correct???? 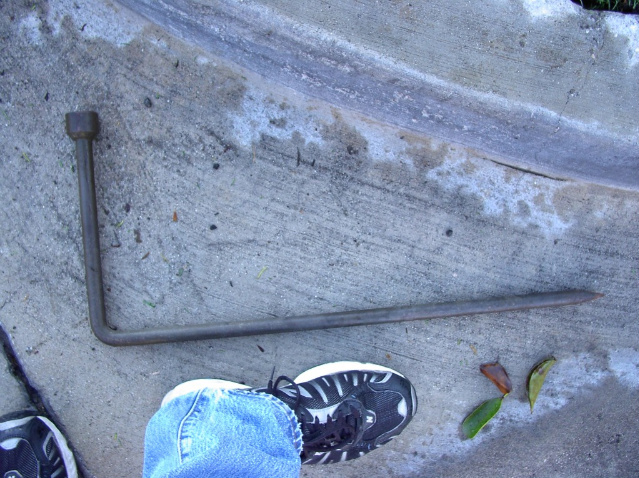 What a coincedence I was going thru some old posts and came across this one about the proper jack and lug wrench. If these photos are depicting the correct stock items, i made a great purchase online. I bought a jack and lug wrench exactly like the one Brute4c shows in his photos, and payed only $7.50for both items. They are in beautiful condition considering their age. The shipping was actually more expensive than the jack and lug wrench combined. I feel very lucky to have come across them and make them part of my M715 project. What a scre...and for a great price...Merry Christmas! Seems like a small jack to me. I just can't remember ever using one when I was in the Army. The base of the jack seems so small and unstable. It's cool to have in the truck tho. I slid mine in the compartment between the cab and the bed. Along with my jumper cables. Is their a proper place to store the jack? Last edited by militarypotts; January 26th, 2011 at 01:05 PM. I've actually now mounted it to the top of the passenger side wheel well under the hood. May not be the correct place. but it makes a nice display when the hood is raised. Jack handle is strapped in next to it. Looks like it belongs there. You've got to learn to post pictures potts. I'd like to see what it looks like. huuuaaaauuu, where do I get one for my M715? You know Jeeper, you are absolutely correct. I promise to work on it. My daughter has showed me, but I keep forgetting how. Once I figure it out, you guys will be begging me to stop posting pics! I'll make it a New Years resolution.